Do you Need Full Mouth Reconstruction? It’s difficult enough to commit to your regular biannual dental checkups. When you have a plethora of dental issues, the prospect of fixing your smile can feel completely overwhelming. For cosmetic and restorative dental needs, you may not even know where to begin. That’s where Celina dentist, Dr. Angela Ganjoor steps in, providing you with a consultation for full mouth reconstruction. Similar to something known as a smile makeover, reconstruction focuses on making sure that your mouth provides a healthy foundation for cosmetic procedures. Cosmetic dental procedures provide you with the look that you desire. However, without a healthy scaffolding to build upon, your cosmetic dental work will end up being a waste. If you want your cosmetic work to last, you will need to start with a thorough exam and consultation with Dr. Ganjoor to ascertain the degree of work necessary. Fillings, crowns, inlays, onlays, or root canal procedures might be in order to deal with cavities or deep decay. If you received amalgam fillings when you were younger, you may wish to have them replaced with tooth-colored composite fillings. Severe periodontal disease issues may require treatment to control the bacterial infection before you proceed with your aesthetic dental pursuits. Cosmetic dental procedures have the potential to erase almost any physical issues you have with your smile. If you have chips in your tooth enamel, dental bonding or tooth reshaping will work like magic. 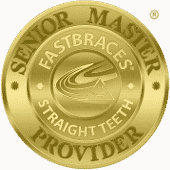 If you have overlapping, gapped, or crooked teeth, and you want to avoid time consuming orthodontics? Or do you have deep tooth stains which don’t respond to teeth whitening? Porcelain veneers are extremely thin shells that fit over your teeth, perfecting the shape, alignment, and hue of your pearly whites. If you feel embarrassed by excess gum tissue, a procedure called gum contouring will provide you with a beautiful frame for your gorgeous new grin. By customizing just the right plan of restorative and cosmetic procedures, you will find that you have plenty to beam about. Whether you have a sudden toothache or you are simply due for a bi-annual checkup, Dr. Ganjoor is here. Call (214) 851-0130 to schedule an appointment at Celina Family Dentistry in Celina, TX. We proudly serve patients from Celina, Prosper, Gunter, Frisco, Anna, Pilot Point, McKinney, the 75009 zip code, and surrounding communities.